Blockchain technology is becoming a reality for people wanting to buy a home. Several successful initial coin offerings (ICO) demonstrated the need for this industry upgrade. Blockchains offer more than one solution to solve the problems facing the real estate industry. However, there are a few common aspects. With the integration of smart contracts, in addition to blockchain technology transforming real estate, cryptocurrencies expect to revolutionize how properties are bought, sold, and managed. What is Blockchain doing for Real Estate Now? The idea of blockchain as a real estate technology proves to be a viable option. Industry experts realize this and now keep track of new real estate ICOs. Some ICOs have introduced interesting concepts. These tend to incorporate smart contracts and a trend toward fractional ownership. As a result, a real estate agent becomes more like an equity dealer. CrypotoSlate lists 51 cryptocurrencies in the real estate industry that offer fractional property ownership. As of March 1, 2018, ICO Alert listed five real estate cryptocurrencies with the highest market caps. The largest in order of market caps were LATOKEN, Propy, REAL, ATLANT, and REX. None of these coins were in the overall top 300 for cryptocurrencies, but real estate ICOs are a recent trend in the market. Both LATOKEN and Propy surpassed a $20 million market cap during this period. LATOKEN, with nearly 80 million coins in circulation exceeds the total of the other four. Propy, with just 16 million in circulation, was less than 5% behind the number one spot. As new investors will learn, cryptocurrency rules are different from fiat currencies. The concept of a hard cap on the number of coins that can be produced began with Bitcoin. Hard caps allow for inflationary controls. A new age of real estate uses blockchains to record property transactions. This leads to the reduction of hidden costs, faster processing times, a highly effective anti-fraud solution, and increase transparency. The Republic of Georgia is a leader in introducing blockchain to the real estate industry. It already used a private blockchain to register land titles. Then it became the first government to validate transactions related to government property. Another successful industry test of blockchain as a real estate technology was completed in Chicago. Participants of a pilot program outlined software, legal, and procedural requirements. All aspects were satisfied. Property owners do not need permission from a Recorder’s Office because this is not required for conveyance. Instead, legal requirements and technological specifications must be met for valid conveyance on a blockchain. This means property owners are capable of using blockchain technology for real estate deals now. All that is required to satisfy the Recorder’s Office is proper formatting. 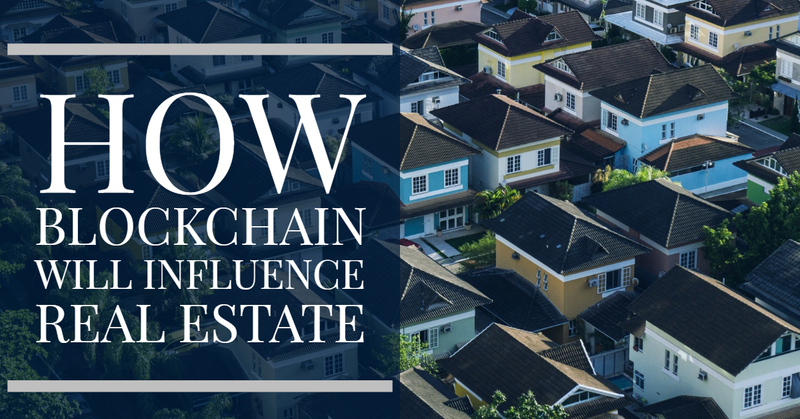 How can Blockchain Change the Future of Real Estate Sales? The Internet is built upon layers. This took decades to develop. Included within these layers are Ethernet standardization, TCP/IP protocol, and HTTP that facilitate web business. This is the type of development blockchains are going through now. It is not merely a novel financial platform. Governments, large corporations, and central banks are all looking into blockchain technology. In terms of the financial system, blockchain represents a revolution in solving existing problems. Much of the risk in modern finances exists because the system is complex. Digital finance was not a carefully planned system the way it is today. Rather, old-world institutions played catch up with credit card companies who themselves were new to securing transactions cryptologically. Blockchain technology is based on cryptography. It fundamentally secures against risk while simultaneously making digital transactions more efficient. Also fundamental to many blockchains is decentralization. This enables previously isolated people to become participants. It upholds its standards because they are written into a program not at the whim of regulators. Researchers even found that transparency limits low-value intermediaries. This, in turn, reduces costs associated with operating the system. Blockchains also streamline digital transactions for potentially greater speed. At the moment, blockchain technology is immature. As it develops, all of these benefits will become apparent. Blockchain technology revamps the real estate industry. It removes low-value intermediaries, prevents fraud, brings about Money 2.0, and popularizes smart contracts. In terms of disintermediation, the issue is that middle-men hold information that the general public does not have access to. Blockchain technology makes properties transactions transparent. They assign a digital address to properties. Within this assignment are things like legal, financial, building, occupancy, and physical data. The prospect of Money 2.0 excited the world at the end of 2017. The cryptocurrency market amassed more than 1% of the world’s GDP. The young market has contracted, but now, influencers realize the power of being able to securely program escrow and distribution applications. No longer does money rely upon humans. Smart contracts take over much of the responsibility as programs on a blockchain. Technologies like multi-signature prevents fraud. It secures digital ownerships through nearly impossible to forge certificates. Blockchains make fractional asset ownership enticing. Real estate focused cryptocurrencies, like LAToken, enter the market at an increasing rate. This platform uses home equity to make real estate more liquid. Smart contracts running on blockchains make both facilitated mortgages and fractional ownership possible. Transaction costs are kept to a minimum. Processing times advance quicker than most people expect. There is a clear trend, that those who adopt blockchain sooner, gain the most benefit. There is risk in such an endeavor, but being responsibly informed is more of an issue. Blockchains are an asset to real estate technology. 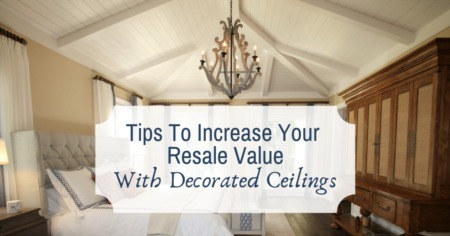 They enable people to buy a home more securely and efficiently. Smart contracts offer unique applications like fractional ownership and programmable payments. A real estate agent becomes an equity dealer and a home buyer for more dynamic investors. So if you're thinking of selling your home, talk to your local Realtor about cryptocurrencies.